Mountaineering in Nepal is the most challenging and rewarding adventures in Nepal and in the world. Our Expedition and Peak Climbing trips take you to Nepal's Himalayan mountains, recognized to be the highest mountains on the planet, including the mighty Mount Everest (8848 m), fulfilling every mountaineer's dream. Nepal boasts eight of the worlds 14 peaks over 8000m Himalaya including the top of the world Mt. Everest (8848m), Mt. Kanchenjunga (8586m), Mt. Lhotse (8516m), Mt. Makalu (8463m), Mt. Cho Oyu (8201m), Mt. Dhaulagiri (8167m), Mt. Manaslu (8163m) Mt. Annapurna (8091m). After successfully climbing to the summit of Mt. Everest 8848m on 29th May 1953 by Sir Edmund Hilary and Tenzing Norgey Sherpa, Nepal became increasingly popular to explore by inspired mountaineers around the world. "The mountains are calling, and I must go"
Those inspired to join for our Expeditions should have previous mountaineering experience, courage, and should be in good physical fitness in order to have the safest and enjoyable adventure. Our Peak Climbing trips are perfect for those looking for a true mountain experience in the Himalayas, but who may not have the experience or time to invest in an expedition. Most peak climbing trips reach summits to mountains from 5,000-6,500 meters, providing a challenging adventure with epic views of the Himalayas. Rugged Trails Nepal has successfully guided climbers with no previous mountaineering experience. Our guides and climbing Sherpas take the time to teach our climbers technique and details of the sport and ensure their safety on the mountain. Our experienced and professional guides and climbing Sherpas have a wealth of successful summit bids, including multiple Everest summits. 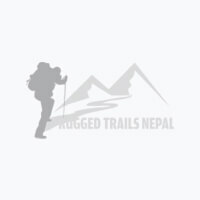 Rugged Trails Nepal confidently employs the best, giving our climbers an amazing and life changing experience on our favorite mountains in the world. Autumn and spring are the best times of year for Expeditions to the high mountain summits. Rugged Trails Nepal is an active member of the Nepal Mountaineering Association and affiliated with Nepal tourism board for operating all Nepal Himalaya expeditions.